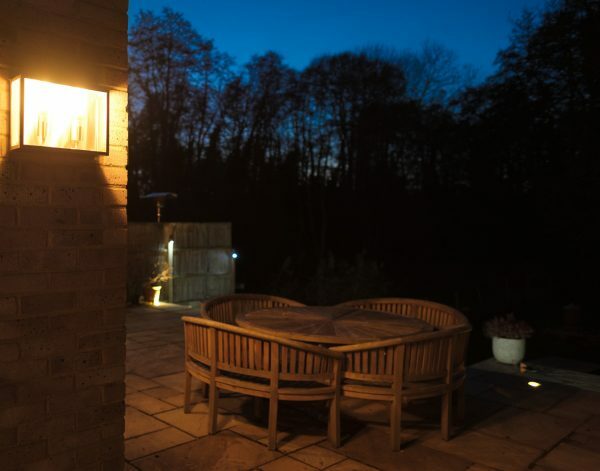 Garden lighting has evolved to enhance the features of an outside space. 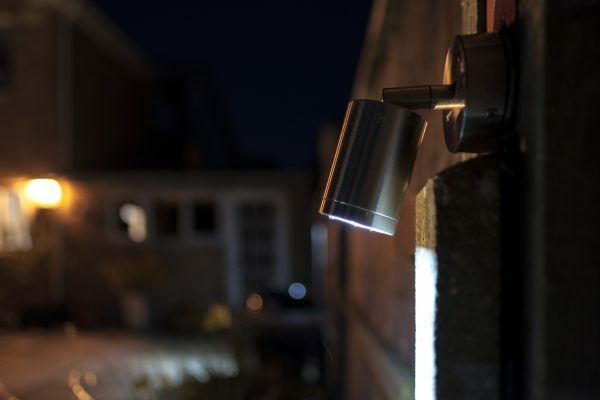 Lighting can be designed to flood a central area with light in the evening or to make a feature of a particular object. 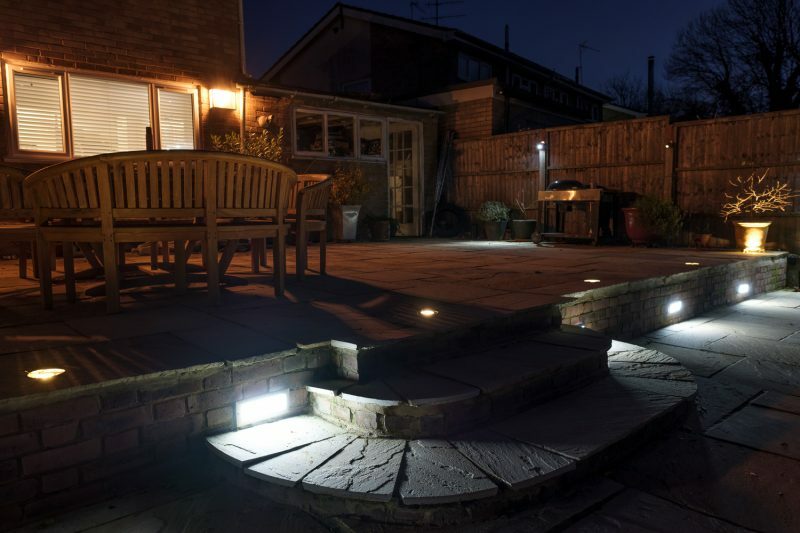 In the images below lighting has been used to light up a garden patio area. Wall lights and fence lights flood the patio with light. 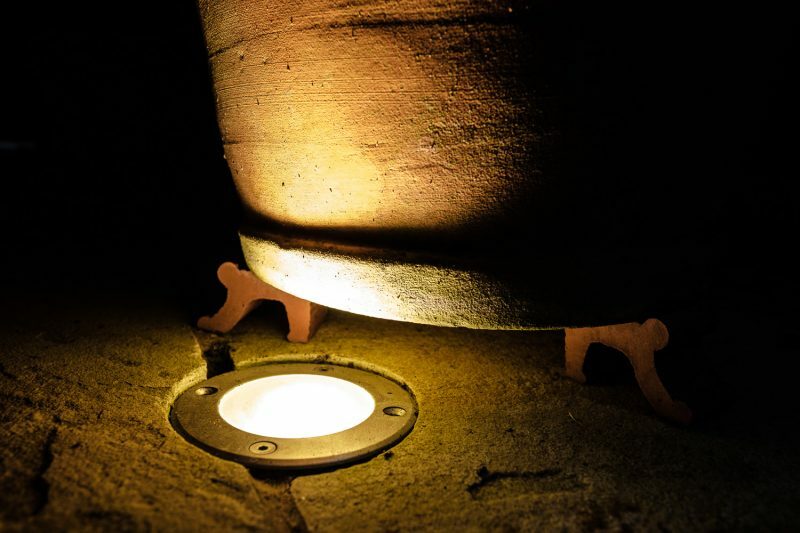 Spotlights embedded in the patio throw light upwards to highlight the step area and have been positioned to make a feature of plant pots . Lights embedded into the small wall flood the lower level of the patio. LED flood lights create a day light effect all year around on a tennis court near Faversham, Kent.